Click here to book the best Dance Class Dublin has to offer!! Learning to follow a Dance Routine will ultimately lead to improved co ordination. The self awareness of where your body is in at any moment in time, sometimes called proprioception or spatial awareness, is something which dancers are amazing at. To be a dancer you must be aware of your body’s every move. In Dance Class at NPAS you will always be encouraged to develop your own physical awareness. This is perhaps the most obvious effect of Dance Class, and the first many people will think of – on a very basic level dancing, a high energy form of movement, will increase you aerobic fitness level and also you anaerobic fitness level. The Dance Classes at NPAS are high energy, powerful, explosive hour long sessions which, in the hands of our professional teachers, will increase your general fitness level, and make you feel amazing. Taking part in a Dance Class will make you aware of what a healthy lifestyle can be, and what healthy life choice are. Emphasising the 3 core principles of flexibility, strength and aerobic fitness, you will become aware very quickly of what it takes to be a dancer and of the healthy choices dancers make in their lives. I have never seen a sad face leaving a Dance Class at NPAS. It is impossible not to feel the happiness and joy which eminates from children and young people doing something they love. In our school the students run into class, and never want to leave – this is often, unfortunately, the very opposite of what happens with regular school. 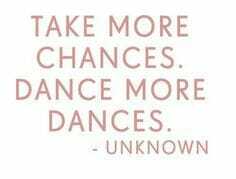 Happiness is a side effect of Dancing! What parents do not often realise is that when you introduce children and young people to a hobby which they love, they will meet like minded people who will end up becoming their friends for life. At NPAS we emphasise the importance of developing a life long interest in, and love of the Arts. It’s not just about singing and dancing and acting when you are a kid. Our biggest joy is not seeing our past pupils on stage or on TV or in Movies (although this too is great!) but in meeting our students at every show we go to, as audience members. If you are fit, if you are flexible and if you are strong in your body, you will be more confident in that body and in what it can do. If you have good spatial awareness and a knowledge and ability in what your body can do you will be more confident. And if you are making friends, interacting with people who love what you love, and with people who never judge or criticise your self esteem will be in amazing shape. At NPAS we tell you every week we concentrate on what a talented individual each and every student is, and that everyone at you are great, because we really belive that, and why wouldn’t we? You ARE Great! In studies it has been found that dance, and the learning of dance routines effects a part of the brain called the hippocampus. The hippocampus is involved in memory and in learning. It sounds strange to say, but dance is currently being used in the treatment of dementia and Alzheimers Disease as well as other less severe forms of memory loss or deficit. So, Remember to Dance, and you may never forget. As part of the first section of any dance class, and the end of every dance class we stretch. This is because we need to warm up our bodies before we dance, and because the more flexible we are the better we are as dancers and the more we are able to do. If we add all these benefits together, strength, aerobic fitness, spatial awareness and propricetion then our ability to balance and move in a fluid, strong and definite way is increased. There are so many people we know, students, teachers and friends, who find that dance class is the ultimate stress reliever. It releases any physical tension which you may have in your body, and really emphasises the practice of ‘letting it all go’ during class. A really good dance teacher will be able to make sure you leave your worries at the door of the studio, and, as the song from the Musical Mack and Mabel says, you ‘Tap Your Troubles Away’! The ultimate benefit of all this moving and jumping and stretching and dancing is increased energy. You arrive into Dance Class at NPAS after a tough week in school, and realise at the end of class that you could dance forever!